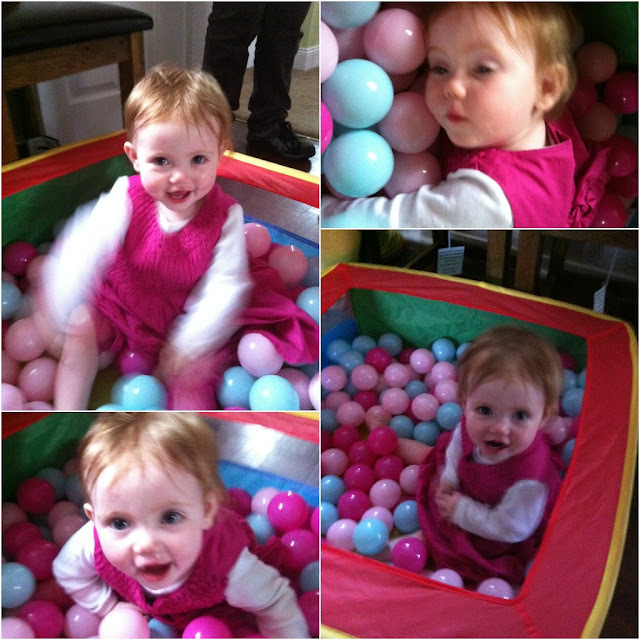 So Saturday was a rather important day for not so little-BabyJEM, she turned the grand old age of one. I'm sure JEM had gotten her drunk before I arrived as for some bizarre reason she was wanting to be picked up by me and was laughing and smiling at me, instead of the normal screaming her head off. She was also trying to feed me crisps.. definately drunk I say. As you haven't seen any pictures of her in a while, me and JEM thought we would share a couple of her. My gift, well the greatest first birthday present ever was the ball pit and balls, and as you can see they've gone down very well. Best Auntie brownie points scored there. Aww what a cutie pie! Don't forget to enter my First Ever Giveaway - Fashion, Well Done it's open internationally!